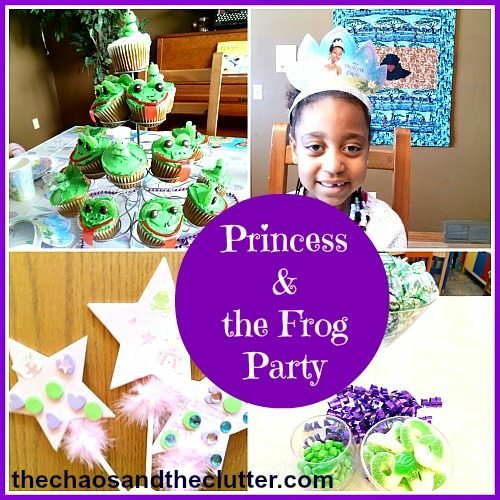 Dancing Queen asked for a Princess and the Frog themed party this year. Ever since she saw Disney’s Princess and the Frog movie, she has been talking about Princess Tiana and I was excited to plan this party for her. I had a bit of a hard time finding decorations and ideas since the movie had just recently come out, so I’ve made a little list of what I did in case anyone else is looking for ideas for planning their own Princess and the Frog party. For the Princess and the Frog theme, you could make a castle cake using Wilton’s castle shaped cake pan. For Dancing Queen’s birthday party, I made frog cupcakes. I have provided step-by-step instructions for making the frog cupcakes here. I also was able to find frog shaped candles. As we were having adults and children at her party and I wasn’t sure if the adults wanted to eat green cupcakes, I also made my delicious chocolate cherry cake for the adults. I was able to find the Princess and the Frog themed napkins, Princess Tiana crowns, cups, plates, and tablecloth. I ordered them online as none of the local stores had them. As the Princess and the Frog movie takes place in New Orleans, I also used Mardi Gras necklaces and masks. As a centrepiece, I put a small crown on a stuffed frog. I also used purple ribbon here and there and decorated a box to hold the treat bags using balloons. As the movie took place in New Orleans, Louisiana style food such as Gumbo, Po Boy Sandwiches, and Jambalaya are good choices. I also put green candy, included candy frogs, in decorative bowls that added to the decor of the party. An easy game to play is musical lily pads. The lily pads can be made easily by cutting pieces of green paper or foam sheets. The Princess and the Frog colouring sheets can be printed for the kids to colour. The party guests can decorate foam tiaras or wands using craft jewels, ribbons, feathers, and stickers. I was able to find Princess and the Frog stickers for the kids to use to decorate their wands with. I was able to find frog hats for the boys who came to the party to wear instead of the crowns that the girls wore. For party favors, I included princess notebooks, Mardi Gras necklaces, frog candies, frog pencils, and prisms. At the end of the party, you can have the guests watch The Princess and the Frog movie while they wait for their parents to pick them up. To tie in the colour purple that was the accent colour for the party, I also put purple and opal beads in Dancing Girl’s hair. If you are looking for more party ideas, you may want to follow my Party Planning board on Pinterest. Saving money on our grocery budget is a huge priority for me trying to feed my husband and I and our seven kids. Stretching leftovers by turning them into soups is one of the ways that I accomplish that. Whenever I make a chicken meal, I add one extra chicken breast. When dinner is done, I cut up the leftover chicken and scoop that, along with all the leftover sauce into a bag. So if we had teriyaki chicken for supper, then the leftover chicken once cubed gets added, along with all the teriyaki sauce or marinade. Next, I add whatever side dishes are leftover into the bag. This usually means vegetables and rice or potatoes. Even if there is just a handful of peas leftover or two pieces of cooked carrot, they go into the bag. Nothing goes to waste. This bag then gets sealed and put into the freezer. If I have time to make the soup that night or the next morning, then I put these into a pot instead, but usually, they go into a freezer bag. The freezer bag gets labelled with the type of meat and the name of the sauce it was in. I have a few variations that I make on the recipe, but the soup will taste different every time because the sauce on the chicken will add to the flavour, as will the seasonings that were on the rice and vegetables. Here are two basic recipes leftovers turned into soup. At the bottom, I will also add a few tips. Saute onion. Add other vegetables. Add everything else and simmer for about one hour. Saute onions and garlic. Add the rest of the ingredients and simmer. Use the bag of leftovers as your base for determining what flavourings to add to your soup. If you are using a leftover tex mex chicken, then corn and black beans are good additions and chipotle spice works well. If you are using leftover meatballs, then a tomato based soup with Italian seasonings usually works well. For leftover curried chicken, adding more curry, along with peas and rice goes well. For teriyaki or honey mustard chicken leftovers, an Asian inspired soup is delicious. You can even add noodles in the last few minutes of cooking. A minestrone type of soup with zucchini, green beans, kidney and/ or white beans, small pasta shells, tomatoes, and Italian seasonings work well with a blander leftover chicken or beef. Leftover roast can be transformed into a beef barley soup. Making soups from your leftovers is so cost effective. It can stretch that one extra chicken breast to feed an entire family for another two meals. It also uses the sauce and small portions of leftover vegetables that would probably otherwise have been thrown away. Using this method can prove to cut back on your grocery budget significantly, especially if you make your own stock and buy some of the other ingredients in bulk. This recipe can be whipped up in no time and is downright delicious! Combine all ingredients together. Mix well. Smooth into a cookie sheet that has been greased or is lined with parchment paper. I like to use parchment paper because then it also makes for easy clean up. This photo is how it looks before going into the oven. Pour icing over warm cake. Cool and serve. If served with whipped cream, it tastes like a moist black forest cake! On a cold and snowy day, the kids easily start to get restless. 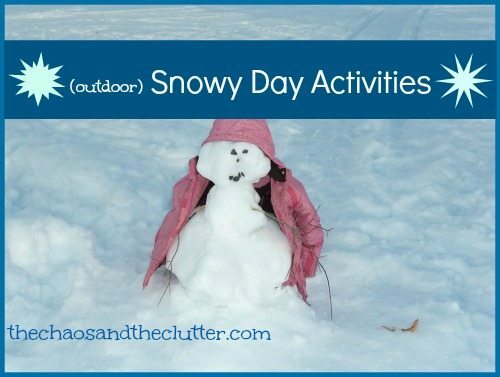 These activities will help to keep away the winter blues and redirect all that pent up energy! 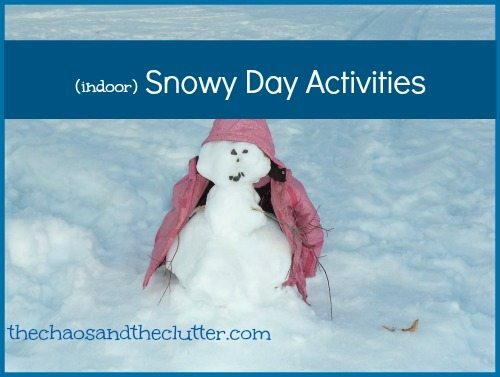 In my first Snow Day Activities post, I concentrated on indoor activities that kids could do when it was just too cold to go outside. This time, I thought I would concentrate on winter activities that actually incorporate the snow. Snow Art. Fill spray bottles with water and a bit of food colouring. 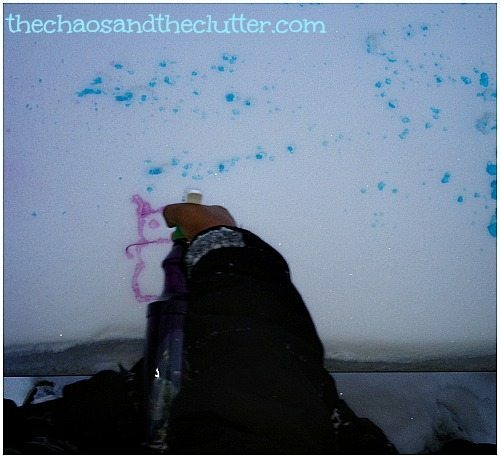 Send the kids outside and have them create masterpieces just by spraying the snow! 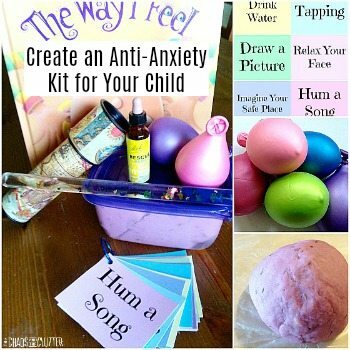 This is so easy to do and one that can entertain from toddlers to teens and every age in between! Snow Castles. Using empty ice cream buckets, pails, sand toys, or moulds, the kids can pack the containers with snow and make snow castles instead of sand castles. They can even add flags made from straws and paper to complete the look! Back to Basics. Sometimes we forget that the most fun in snow can be had by playing in it the way kids used to. Making snow angels, building snowmen, making snow forts, making pictures on the snow with sticks, going tobogganing, snowshoeing, and cross country skiing are all things that are just as much fun now as they were when we were kids. Snowball fights are fun too as long as there are ground rules set to keep it safe and fun for all. Tracks. Finding or creating tracks in the snow is fun and educational. Have your kids try to find tracks in the snow and then using books or the internet, help them discover what type of animal made those tracks. You can also have them play detective and try to figure out which family member made which human track by using clues such as foot size, treads, and weight distribution. Bring Winter Inside. When the temperature outside dips too low, bring the snow in for a fun change of pace. You can do this by filling plastic buckets or even the bathtub with snow and then letting the kids use their imaginations to play. They can use toy cars to make roads, make imaginary scenes using small toys or make “mountains” for their dolls to ski or toboggan down. Of course a great way to end off a snow day activity is with a nice cup of hot chocolate and a snuggle under a warm blanket! Today is way too cold to venture out, so I got to thinking about what indoor activities I could do with the kids to keep them (and me) from going crazy. Here are some easy ones that I came up with that could be made with household items. Doll House or Castle. Using empty boxes, help your child make a doll house or castle. Imaginations, scissors, and markers are all you need. If you really want to be creative, use scraps of fabric, pipe cleaners, and tiny boxes (such as match or toothpick boxes) to make curtains, lamps, and furniture for the house. Faux Stained Glass. Use up your broken crayon pieces by spreading out a sheet of wax paper and having the kids make crayon shavings on it using a pencil sharpener. When they are done, fold the wax paper in half and iron it on a low temperature. The kids can then make a frame for their creation out of construction paper. They can make it look like a butterfly or a stained glass window. Themed collage. Have the kids create a collage using glue and pictures from a catalogue, magazine, or flyer. Give them a theme such as “favourite things”, “foods that are healthy”, “things that fly”, “things that are red”, or “what I would buy if I had a hundred dollars”. Masks. Masks are a good way to change the mood. They can be made using large paper bags, paper plates, stiff paper, or paper mache. Feathers, glitter, sequins, ribbons, and beads can make the masks more interesting. The kids can even then put on a play wearing their masks, which will help the hours pass more quickly on a rainy or snowy day. If you don’t have supplies for mask making, face painting can also change the mood in the house and be used for make-believe. Easy Shrinky Dinks. Use empty small size potato chip bags or regular size chocolate bar wrappers. Hole punch one hole near the corner and then place them on a baking sheet. Put them in the oven at 325 degrees, keeping an eye on them. They will shrivel and curl and then uncurl. Remove from the oven when they are at least halfway uncurled. Wait for them to cool. They can then be made into keychains, zipper pulls, or jewelry. Kids love this one! Everyone likes to receive happy mail, which is pretty much anything other than a bill. You can use these ideas to have kids send mail to grandparents, friends, cousins, or pen pals. Writing letters is a great way for children to practise their writing skills and penmanship in a practical and fun way. Sending them (by “snail mail”) instead of e-mail is especially fun. Below are some suggestions for fun and creative mail they can send. A Homemade Photo Postcard – Take pictures and let the your child turn them into postcards by sticking a white index card onto the back of them. They can then write a message, fill in the address, put a stamp in the corner and send their personalized postcard. A Puzzle – Have your child draw a colorful picture on cardboard or thick card stock with a message for a friend or relative. If the child is old enough, have them cut the picture into puzzle pieces. If they are too young, you can cut the pieces for them. Pop the pieces in an envelope and mail to the intended recipient for a very fun greeting card. Invisible Ink – Have your child write a message or draw a picture in lemon juice on a paper. Include a note on a separate piece of paper explaining that in order to view the message, the recipient will have to heat the paper up over a candle. This one is as fun to receive as it is to make. Secret Code – Your child can write a letter using a secret code. Be sure that they send a decoder along with the letter of course! 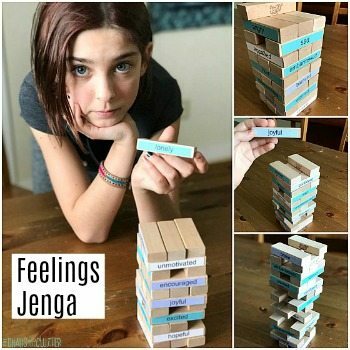 Building Suspense – One idea that can improve your child’s creative writing abilities as well as their desire is to have them write a story and send a grandparent, aunt, uncle, or friend one chapter at a time. The recipient will want to know how the story ends and will phone or write to ask the child, who will then feel encouraged in their writing and be spurred on to finish that story and to write others as well. Add a Sentence – This one is also good for building creative writing skills in your child. The way it works is that your child writes on sentence or one paragraph (depending on the age and writing level of the child) and sends it to the recipient. The recipient then adds another sentence or paragraph on to the story and sends it back. 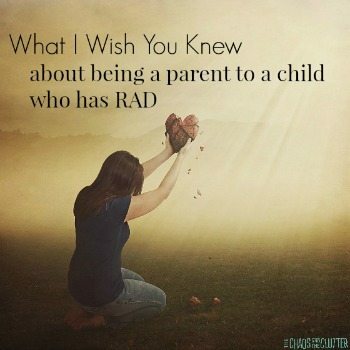 Your child then continues the story from there and this continues back and forth until the story is finished. 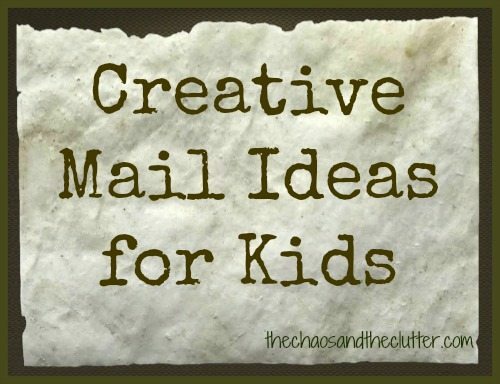 Sending and receiving mail is fun for any child (it’s fun for adults too!). If there isn’t a relative that your child can send mail to, consider asking a Senior’s care centre if there is a lonely resident there that your child can send letters to or find a pen pal for your child.